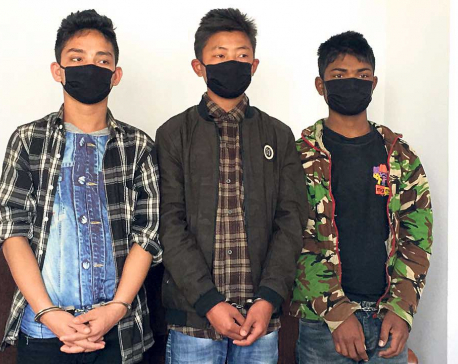 BHAIRAHAWA, Feb 11: District Police Office (DPO), Rupandehi has arrested 16 people on the charge of selling and consuming drugs within the span of 11 days. The increasing number of drug users and traffickers has been a matter of concern in Rupandehi of late. Police on January 24 arrested Nabi Hussain, 24, of Siddharthanagar-3 along with huge cache of Diazepam, Fenaragon, and various other drugs during regular security checking in Belhiya. Similarly, on January 25, Indrajit Chamar, 31, of Omsatiya-4 was arrested with 2 ml each of Diazepam, Fenaragon and Nufin. Police also booked Prakash Sunuwar, 46, of Kalika, Chitwan for his involvement in drug abuse. On January 28, Yogesh Gurung, 32, of Devdaha Municipality-4 of Rupandehi was caught with 800 milligrams of brown sugar. 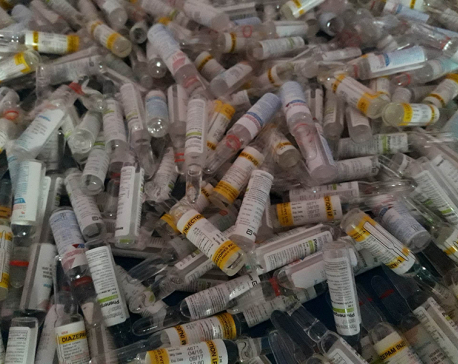 On the same day, Norbu Lama, 40, of Chorepatan, Pokhara was arrested with 30 ampoules of Diazepam, 32 ampoules of Nufin and 120 Nitrosun tablets. The next day, police arrested Prakash Sharma, 31, and Milan Pun, 18, from Belhiya for possessing brown sugar. Furthermore, on February 1, twenty-nine-year-old Jamil Dhawan of Siyari Rural Municipality-4 of Rupanedehi was caught with various types of drugs. In between January 24 to February 4, police arrested 16 people for using and supplying drugs. All of them were found transporting drugs by hiding them in their clothes and bags. The series of arrests indicate that drug users and dealers have been taking advantage of the open border in Rupandehi, claimed informed sources. It has also raised concern over the increase in the number of drug abusers in the district. Since last year, Police have been making various efforts to curb drug dealings in the border areas but still have not been able to get much success as drug users find one way or the other. Deputy Superintendent of Police (DSP) Kumod Dhungel informed Republica that police are still investigating by keeping the arrestees under custody to find out their networks. Despite several measures of the government, the use and supply of drugs are increasing at an alarming rate. Some use it due to peer pressure while others use it to get rid of trauma and depression. Many people start using drugs due to family problems and unemployment as well. 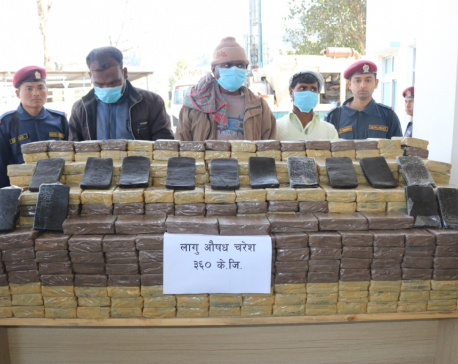 Caption: The drugs confiscated by Rupandehi Police from Dhakadhai area.